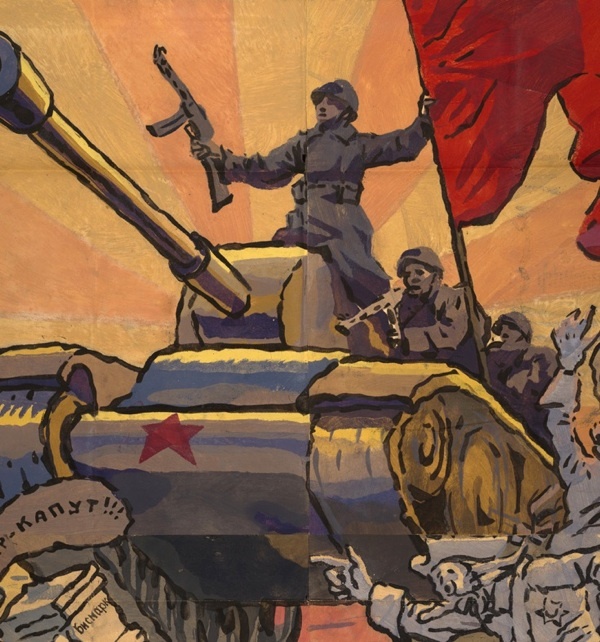 The University of Nottingham's rare collection of Soviet war posters is unique in the UK, and is one of the largest internationally. 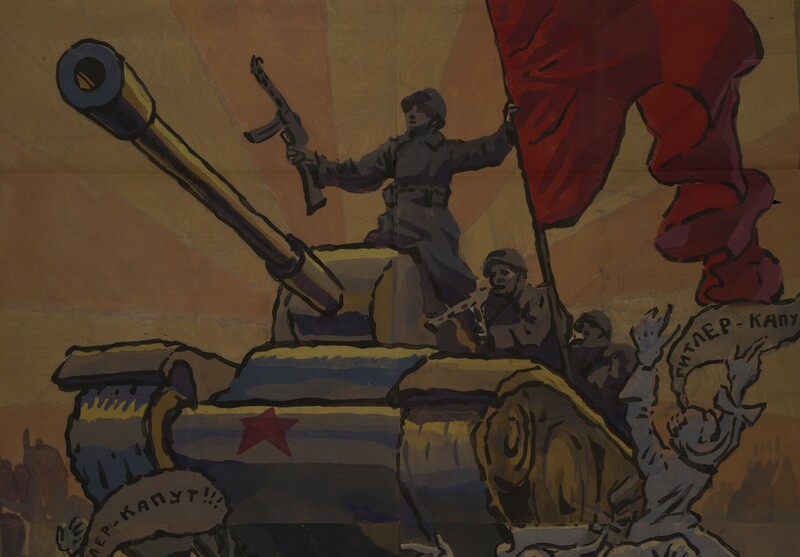 Now they are online you can breathe in the colours, enjoy the cartoons and comic strips, admire the landscapes, or zoom in to explore the posters close-up in fantastic detail and learn about the posters as art, war propaganda and historical objects. The Russia projected here may sometimes seem idyllic, even sugary, but such images were essential to Russians at home, coping with immense deprivation. 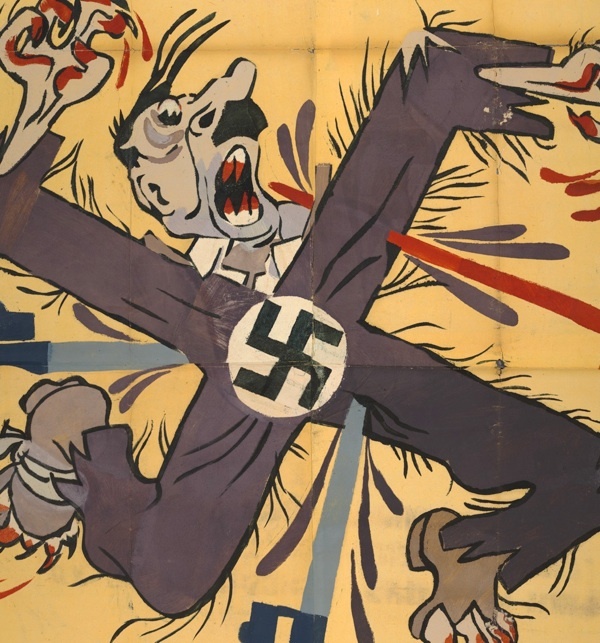 Hitler was a gift to the graphic artist. His hair and moustache, his short stature and greedy pomposity were mercilessly utilised. 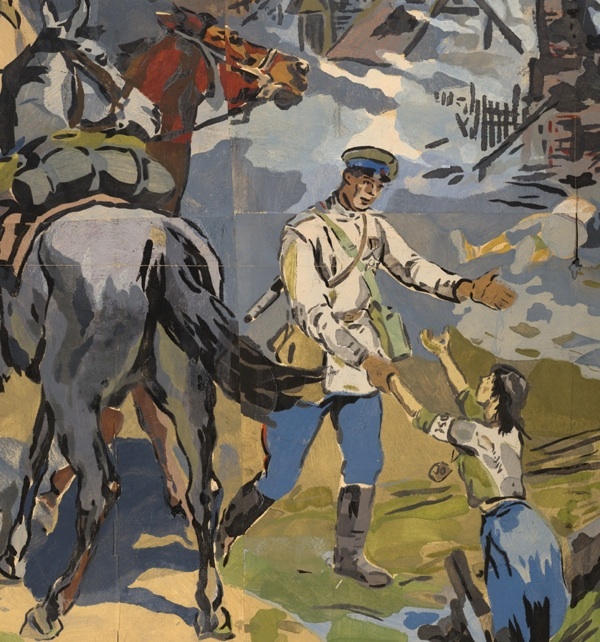 The collection of TASS posters was given to the University in 1961. Conservation and digitisation now make these available to all.